Sometimes you just don’t feel like turning on the oven — and for those times, these meals are perfect. 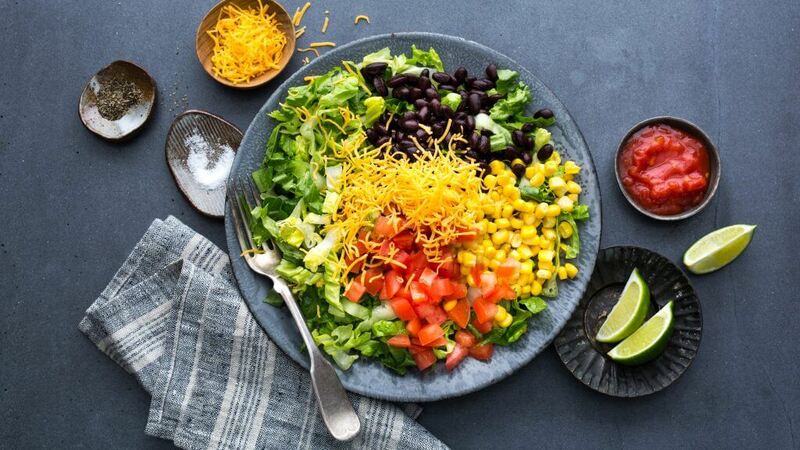 Loaded with vegetables and full of protein, these no-fuss meals are ideal if you’re watching your carb intake. 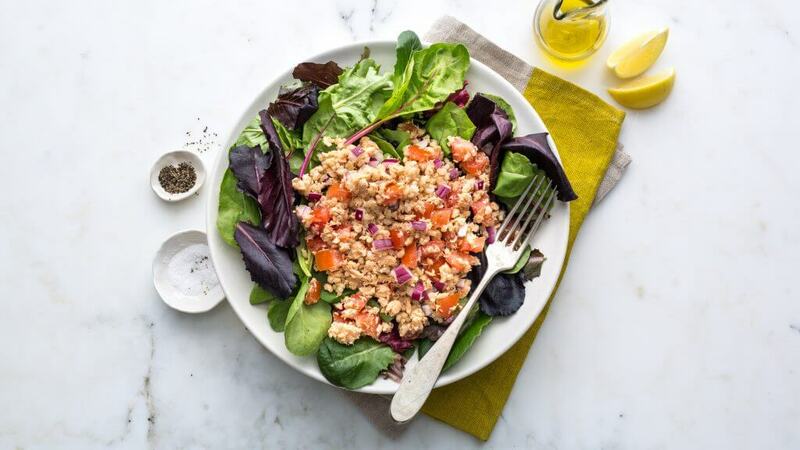 Place salmon, red onion, tomatoes, brown rice and mixed greens in a large bowl. Drizzle olive oil and lemon juice over top and toss to coat. 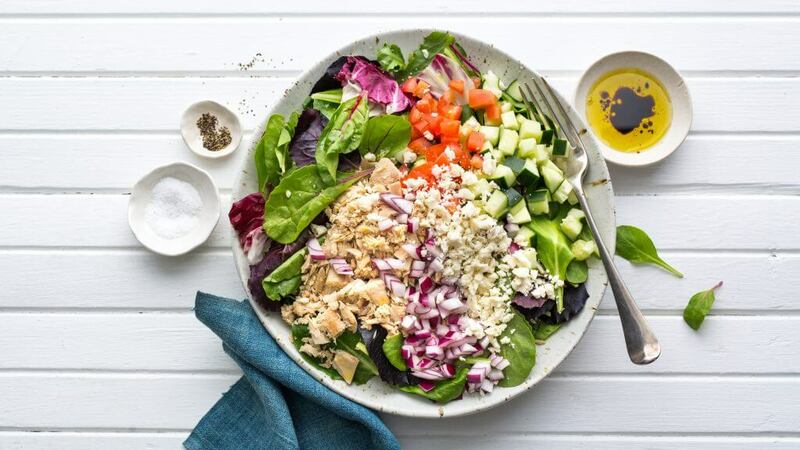 Place tuna, cucumber, tomato, red onion, feta and greens in a large bowl. Drizzle olive oil and balsamic vinegar over the top and toss to coat. 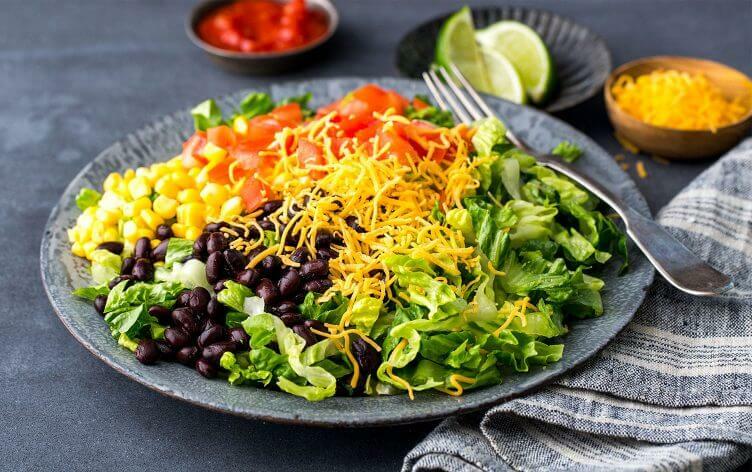 Toss all ingredients in a large bowl and serve. 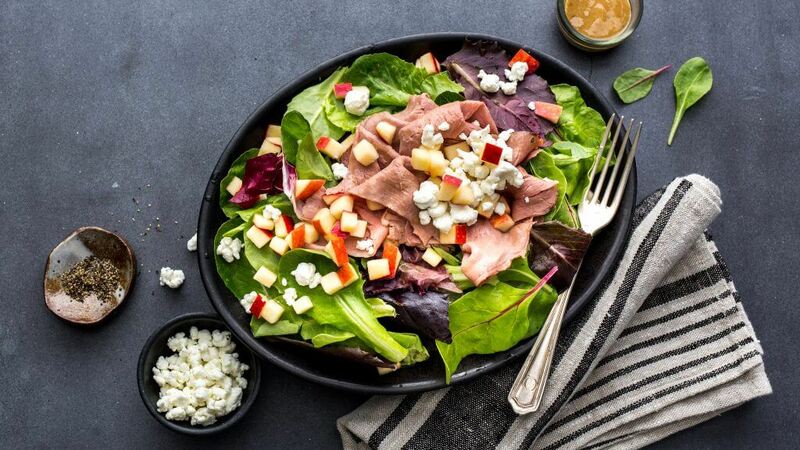 Place mixed greens in a large bowl and top with roast beef, apple and goat cheese. Whisk together olive oil, Dijon and balsamic vinegar in a small bowl. 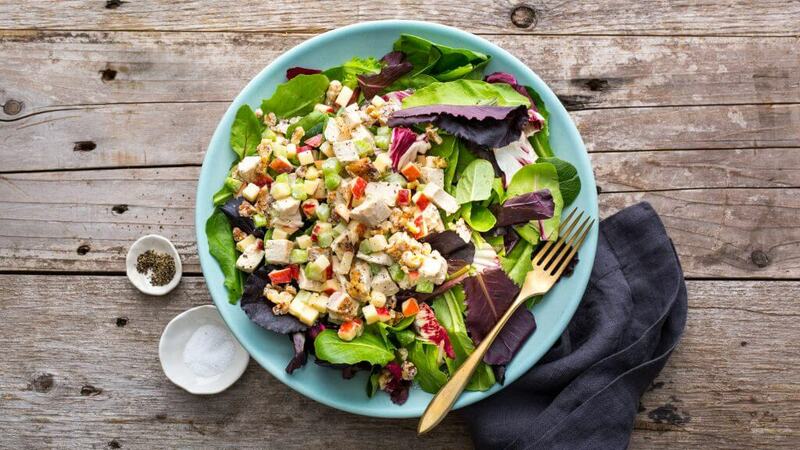 Drizzle over salad and toss to coat.